We spent over 33 hours researching and testing 12 different brands of Blu-Ray Drives and found that the type of drive it has, available formats, and storage capability were most important. The LG Blu-Ray Disc Rewriter scored high in all categories and is our top pick. 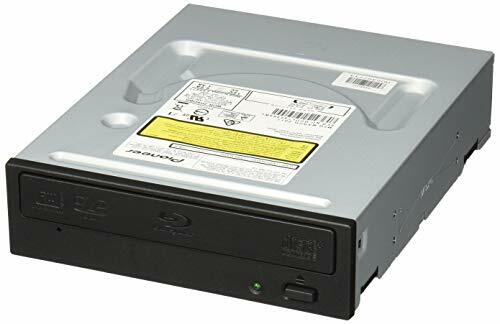 There are plenty of optical media that this device supports as well as supporting writing data to Blu-ray discs and dvds. The built-in 4MB buffer reduces disc writing errors. The Blu-ray driver had everything we needed including supporting four different discs types for your convenience and uses Serial ATA technology which is great for future upgrades. Blu Ray is also known as a BD-Rom and it is the best in both size and quality for data storage on the market. This allows Blu-ray discs to take care of storing any large programs and applications that you need stored. DVD devices are still used frequently but since Blu Ray Drives holds so much more data comparatively, it is highly likely that Blu Ray Drives will become the data storage of choice. That shift would be very similar to the shift that the DVD went through after it was introduced after the CD era. One notable and popular feature of a Blu Ray Drive is that it plays DVDs AND CDs as well. Before beginning your search for the best Blu Ray Drive for your needs, take a look at all the available options and learn about drive types, speeds, storage capacities and even the different formats that the drive is capable of reading. The LG Super Multi Blue Internal SATA 16x Blu Ray Disc Drive has a lot of features that will make it a favorite for all of your storage needs. It supports a large variety of optical media and supports writing data to DVD and Blu ray discs, as well as supporting CD burning, writing and reading large format double, triple and quadruple layer BD-R discs. It can also play back 3D Blu ray discs whenever you use it with optional 3D media, a 3D display and the cool 3D glasses. Another great feature of the LG Blu Ray Drive is the Serial ATA Technology that it offers. The Serial ATA replaces the Parallel ATA physical storage interface that is normally used to connect multiple storage devices like hard disks, CD rewriters and DVD rewriters to the motherboard of the computer. Serial ATA allows for future upgrades and enhancements to the computer platform and is scalable as well. Users can use the Blu Ray Drive to burn important files and documents with the Blu Ray burner. You can burn them at a speedy rate of 16x for writing and 12x for reading. You will enjoy an uninterrupted connection because of the SATA interface. The additional features that this LG Blu Ray Drive offers, such as the 4MB buffer, allow it to handle 48x CD-R burning along with 16X DVD+R burning. It is the perfect Blu Ray Drive for all of your needs. If you are looking for a great Blu-ray Drive for an upgrade to your existing storage system or you’re building your own system, you will love the Pioneer BDR-209DBK-KIT 16X Blu-ray Writer Drive. It has fast writing speed and wide bland media support as well. It is the fastest writing speed on the market, providing users with 16X speed. It can read and write any single layer and dual layer BD-R discs along with DVD and CD formats too. Another feature is that it is 3D capable so you can watch the latest 3D movies with compatible displays. Other features include QuickPlay that allows movie discs to be ready faster, Noise suppression that minimizes noise, Precision Writing Technology that minimizes write errors and an Anti Dust design that increases the Blu-ray Drive’s durability. The Pioneer Blu-ray Drive plays your movies faster and has a quieter drive due to the tray cushion and top cover that is designed to reduce disc rotation noise. The design of this drive works to keep all the dust out of it and thanks to this feature; drive failures because of dust are virtually nonexistent. Along with watching great 3D movies (just get a 3D playback software and a 3D display system, sold separately) you will enjoy top quality writing that reduces warping from disc vibration and faster burning as well. This Blu-ray drive is capable of storing the equivalent of 10 single layer DVDs on one drive! This is a back up method that requires fewer discs and provides the peace of mind users are looking for. The Asus Internal Blue Ray Drive copying media to your Blu-Ray Drive just got a lot faster. Thanks to the fast 12x speeds it offers, you can copy your files onto a Blu-ray disc a lot faster than ever before. For example, if it normally takes you 22 minutes to burn your data onto a 25GB single layer Blu-ray disc that has a 6x speed Blu-ray burner, you will be able to get the same quality in less than 12 minutes. The Asus SATA Internal Blu-ray Drive allows for many different media formats and also supports reading and writing on a large variety of formats. The operating system supports Windows 7, Windows Vista and Windows XP. A surprising feature of this Blu-ray drive is that it saves over 50% power consumption over others. 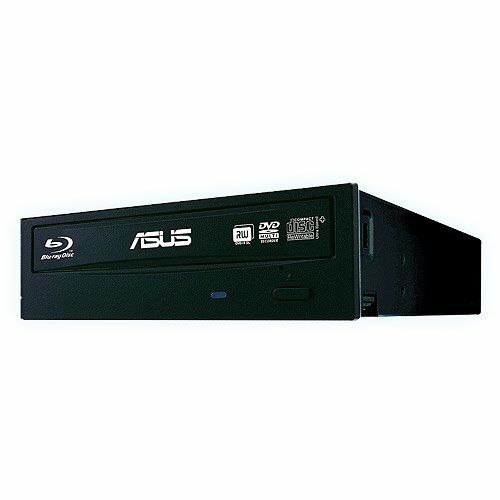 You will enjoy Blu-ray 3D support, 2D to 3D DVD conversion, DVD upscaling to HD and other formats and capabilities as well that this Blu-ray drive provides. People are purchasing Blu-ray drives because they want the space they provide when it comes to backing up your files and important documents. The top rated choices we have featured here are three of the best you can find on the market today. With their expanded features, fast writing and reading speeds and more, users will have everything they want. If you are not sure if one of the three top rated is what you need, read our buyers guide below to learn more information about these Blu-ray drives that are growing in popularity. We will provide you with the information you will need to search through the selections available and make an informed choice as to which one fits your needs the best. What is a Blu Ray Drive? Why do people purchase Blu-ray Drives? Mostly because of the space they offer. One Blu-ray Disc provides the user the equivalent of 35 CDs of space or 5 DVDs. They resemble DVDs a lot but they use a shorter wavelength and have a narrower laser beam spot which makes them capable of holder a lot more content. Blu-ray is becoming the storage method of choice thanks to the variety they are capable of handling. They can do both HD and 3D content. There are several things you want to consider before you actually purchase a Blu-ray disc drive. We’ve outlined these points for you below. One of the first choices you will need to make is whether to get an internal drive or an external drive that you can plug into any port you have available. External – External Blu-ray drives are plugged into an available port and are much easier to install than internal drives are. They are also portable and can be used by more than one computer. These extra features make it more expensive than an internal Blu-ray drive and they may not be as fast as the internal drives, but many users love the flexibility they offer. 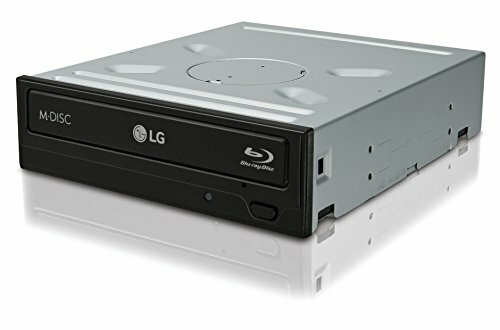 Internal – You need to check your computer before you purchase an internal Blu-ray drive to ensure that there is a slot for you to place the drive as well as the physical space. You also need to know how to do it but if this is a problem, there are several people that will be able to help you with this step if you don’t want to try and do it yourself. The majority of internal drives use a SATA interface so it is important to make sure that you have a compatible port. Laptop users that don’t have a Blu—ray drive already will more than likely not be able to add an internal drive and would need to opt for the external drive. Internal drives are usually less expensive than external drives. Types of Formats – There are a lot of different DVD formats available. The best course of action to take is to look for an optical drive that will support as many different formats as possible. LG and NEC have their SuperMulti or Lite-Ons Super All Write which handles a lot of different formats for your needs. Writing Speeds – Writing speeds are important but definitely not THE most important thing to look at when purchasing a Blu-ray Drive. If you find a good quality drive that offers 16X DVD writing that is a great speed. It doesn’t warrant spending the extra money for faster speeds if it is just seconds faster. The most preferable speed is 16X but a Blu-ray Drive that has a 12X speed will be just fine also. Other Features – You will want to look for a few other features as well when you start shopping for your Blu-ray Drive. These include the ability to record TV, BD Live, Internet Connectivity and other features that increase the capabilities of the Blu-ray and make it worthwhile to have. Blu-ray Drive and DVD – What are the Differences? Although DVDs and Blu-ray Drives look similar, there are some key differences between them that set them apart. Two of the most notable differences are transfer rate and storage capacity. Below we’ve gone over more differences between the two. Data Storage – DVDs and Blu-Ray Discs store data in very different ways. On a DVD the data is stored between two separate layers of polycarbonate. With Blu-ray, the data is placed on top of a single layer of polycarbonate. A hard coating is used on both DVDs and Blu-ray Discs to protect the surface of the disc which allows for fewer readability errors. Data Transfer – Another area where DVDs and Blu-ray discs are different is in data transfer speeds. Blu-rays are always the winner in these transfers. The reason is because Blu-ray is so much faster than regular DVD. If a regular DVD has a drive speed of 8x, it will transfer data at 10 MB/sec. A Blu-ray drive with the same 8X drive speed will transfer data at 36MB/sec. Below we have listed the standard memory capacities of a Blu-ray Disc. The amount of storage capacity is dependent upon how many layers the Disc has. There are several different disc types that Blu-ray drives will play. We have listed them below. Don’t use a cloth or alcohol on the inside of the drive. There is a certain way you should handle and clean your Blu-ray discs. We’ve provided this information for you so your discs will last a long time without damage. Handling – When you handle a Blu-ray disc, make sure that you hold it b y the outside edges or the center hole. Do not expose Blu-ray discs to sunlight, humid conditions, extreme heat or cold. Also remember not to flex the disc. Light Cleaning – Keeping your Blu-ray discs clean is easy. To do light cleaning, use a soft cloth that is lint-free. Holding the disc by the center hold wipe from the center of the disc outward to the edges. Heavy Cleaning – Fingerprints and dust need to be removed from Blu-ray discs because not only can that mess up the discs, it can mess up the drive as well. Use a soft, lint-free cloth that has been moistened with water or a special BD cleaning solution. It’s only a matter of time before Blu-ray Drives replace DVD drives as the popular storage choice. Blu-ray drives have a lot of features and capabilities that make them even more popular such as being able to also read DVDs and CDs. We’ve provided some important information in this guide that will help you sort through all of the Blu-ray Drive choices so you can find the one that best fits your needs and preferences. The three top rated choices we featured here have a lot of features and abilities that make them great choices. Having the right information helps you to shop with confidence and ensures you really know what you are reading in the descriptions and how to double check and make sure you have a great product. Making a confident decision helps you purchase an item that you will be happy with from the very first use and every use thereafter.